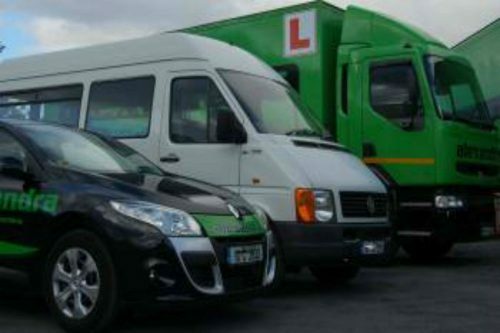 Before applying for a Learner Permit, candidates must complete and pass a Driver Theory Test of their general road safety knowledge and motoring legislation. The test is offered in Irish English and Polish and consists of 40 multiple choice questions. 35 must be answered correctly to PASS. Candidates with special requirements can be accommodated. If you are late for your appointment, you will not be allowed to sit your test and you will lose your fee. On passing your theory test, your certificate must be produced at your local Motor Tax Office along with your learner permit application to receive your licence. Lo- Call 1890 606 106. Representatives are available Monday to Friday 8:00am to 6:00pm and will book your test and immediately confirm your appointment. You can download a Postal application here and are available at Driver Theory Test Centres and Motor Taxation Offices and sent to Driver Theory Test, PO Box 788, Togher, Cork (Please do not send your application form to the Driver Theory Test Centre). Once your application has been received, you will be notified with the date, location and time of your test in advance. If you need to reschedule your theory test, contact the call centre listed above.